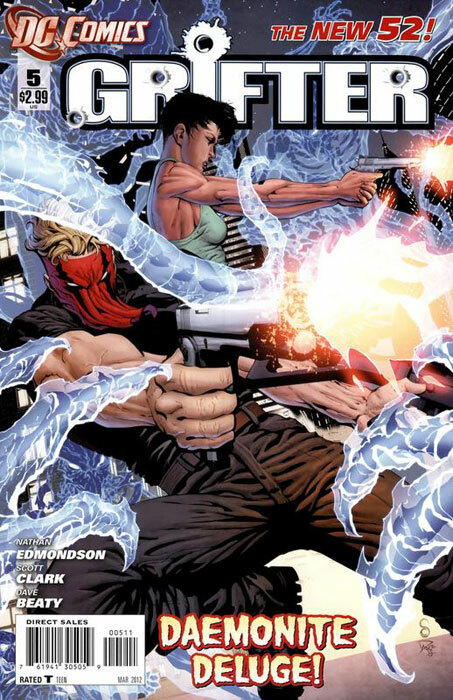 The second outing between writer Nathan Edmondson and artist Scott Clark continues to ramp up the action that began last issue. I don’t know if the pairing has decided to add this much action to cater to Scott Clark’s strength, which is action scenes or it just worked out this way. All I know is that it has taken this series up a whole new notch for me. I feel like the last two issues have set-up a healthy pace for the series. We had an awesome fight last issue with Grifter and Green Arrow but it also moved the story along as we found out something new about the Daemonites. 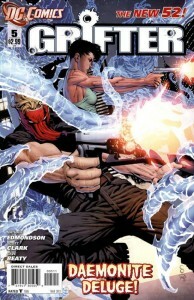 This issue does the same expect this time we get a great fight between Grifter and the Daemonites themselves. This issue had the Daemonites acting like they did in the old Wildstorm Universe where they would usually attack in large numbers. Even though these Daemonites have a completely new design than their predecessors, it was very nostalgic for me seeing Grifter take on a Daemonite swarm. Scott Clark was made for this book. His panels and layouts have so much energy and he keeps the fight scenes interesting. 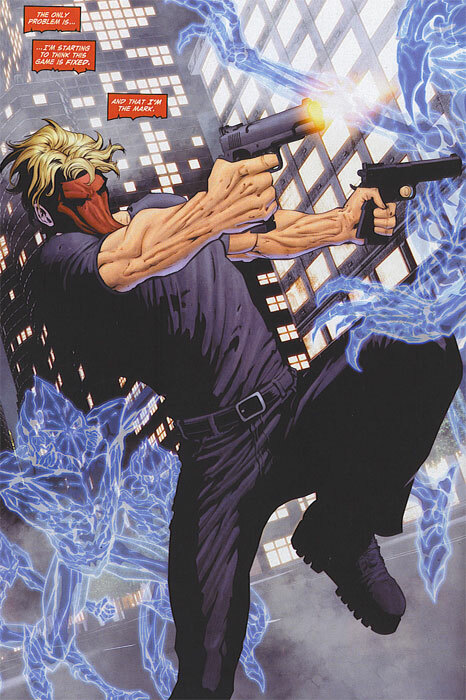 I love that he keeps Grifter moving from panel to panel and puts him in some great poses. 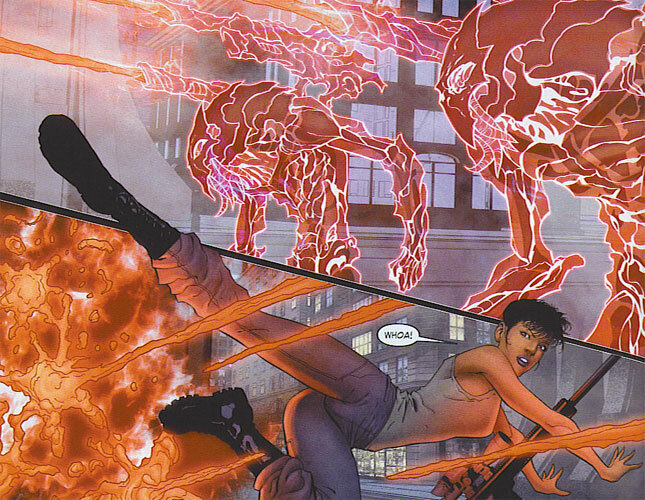 I also have to give him kudos for doing well in matching previous artist CAFU’s design for the Daemonites. With a design as complex as theirs, sometimes it can be lost in translation with a new artist coming onboard. But Clark’s art is not only consistent in this area but he also does well to match it as he fills the pages with the Daemonite horde. For those who thought the first few issues of Grifter were a little slow, give these last two a try. For one thing, you will get a lot more action and get a deeper view of what the Daemonites are up to. The solicits show that Edmondson and Clark should be working together on the title for the next few months. I anticipate the issues can only get better from here. This entry was posted in DCU, Grifter, Reviews and tagged grifter, Nathan Edmondson, scott clark. Bookmark the permalink.